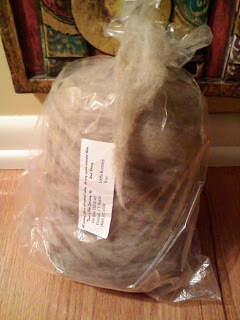 This is some roving I purchased. 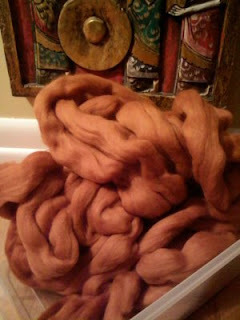 There is a picture below of some fabu orange merino roving…this is very difficult to learn drop spinning on…who knew! The Romney is very different, and I feel confident I will have more success with it as well. 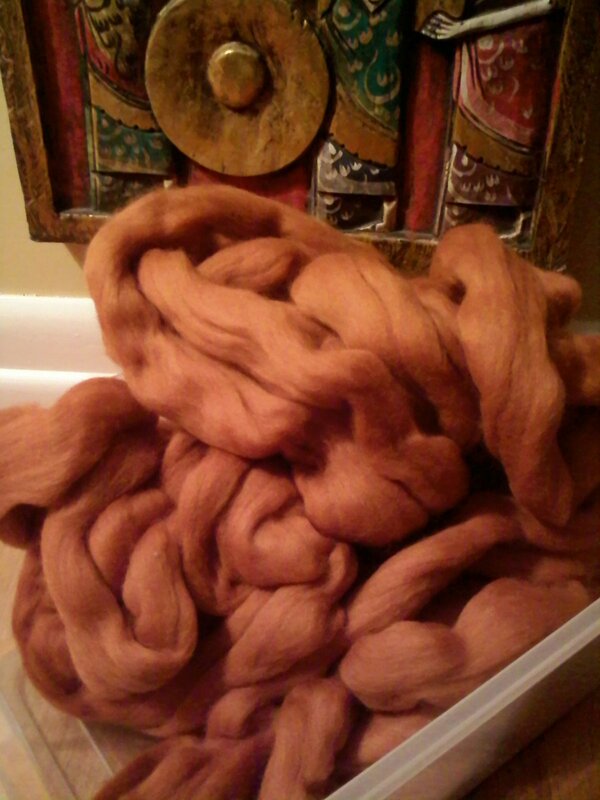 I will finish my DH’s Twist vest before I start anything else but I am thrilled at the opportunity to be successful at hand spinning. I have found wonderful videos on the topic at YouTube; don’t overlook this resource!